I took a more realistic approach for my drawings! 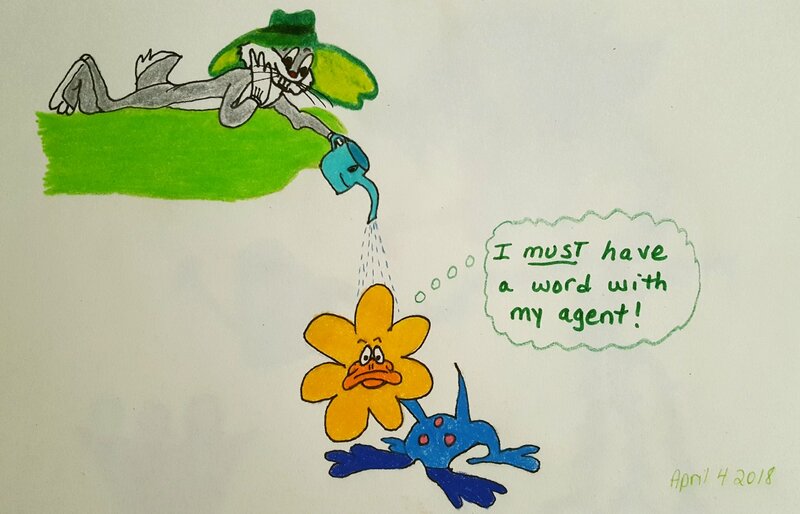 Bugs is at it again, poor Daffy! :) I want a gardening hat just like the one Bugs is wearing! 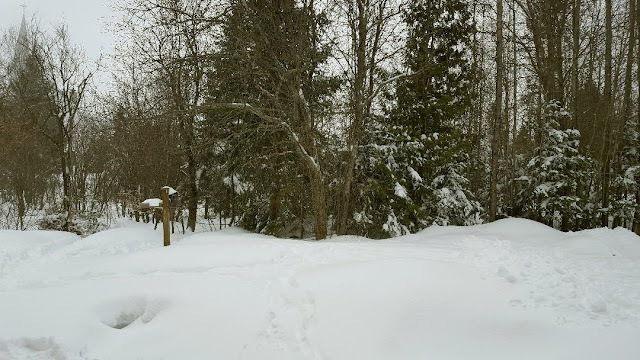 I woke up to knee-deep snow this morning...sigh...I had to shovel some paths before I could take Jack out or he would have sunk! "The Big House"...this is where Jack is living for the next 3 weeks! He's doing so much better...very eager to jump around though he's not allowed to anymore. 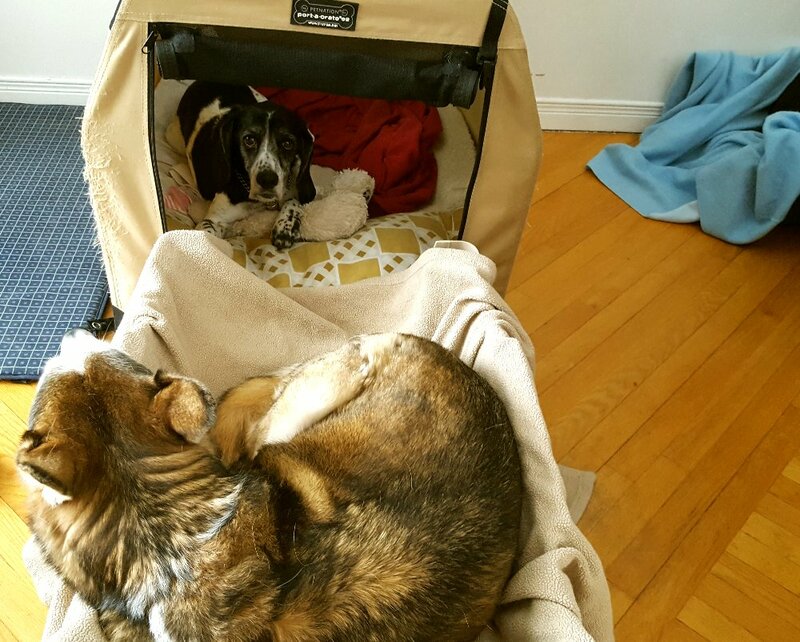 Marlene sleeps right in front of the cage to protect her big brother. Guess what? That vet who caused all of our stress doesn't work at the vet clinic anymore. I'll leave you to your own opinions about that. 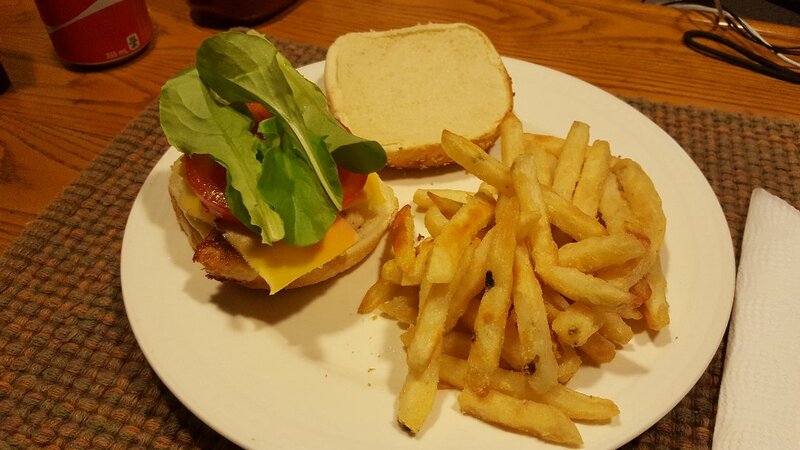 We had our first fresh lettuce last night on chicken burgers...it's been since September since we had some! It was so delicious, I can't wait to eat some more. I planted four more pots with hope that they will continue to grow well. As soon as the weather is warm, end of May, I'll plant even more outside and hopefully they'll grow nice and big! Our Easter dinner was nice and easy. Easy is what I need these days. 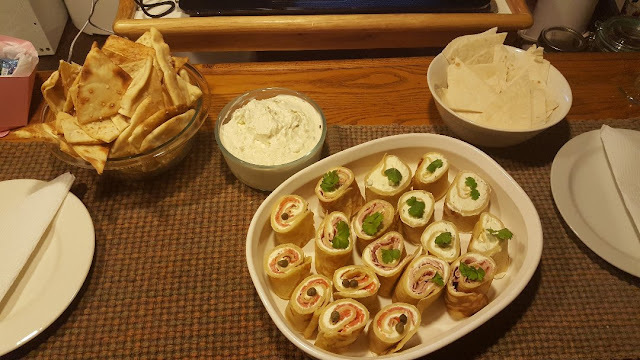 Crepe Roll-Ups with smoked salmon, ham and cilantro cream cheese with home grown cilantro! I also made a Blue Cheese Dip, which was heavy on the Blue, but missing some chives for flavour. I just can't bring myself to picking the ONE chive that is growing in the pot! 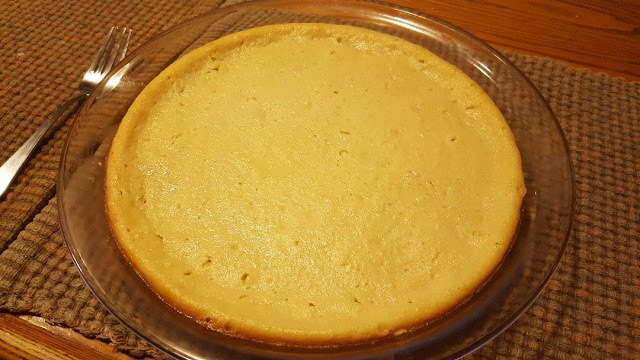 Dessert was Italian Cheesecake made with my Ricotta. This dessert is so light, we could eat this every week! You know how I know that Jack is better? He's "eating" his ears again. I took a 30 second video last night of him doing that. I love this hound so much! Sorry to read about your snow. That's just wrong!! Jack looks all cozy in his little nest and well done Marlene - protecting her big brother! Yay for fresh lettuce!!! I am so envious of your indoor garden. I need to think how I can do this in our new house...I am pretty sure any lettuce I plant outside will feed the deer only. Darling Jack and eating his ears! Love this. I tried recalling what my friend's dog had and all I can think of is "sad tail". Maybe google it and see what comes of that. Yay for Jack! Good news! your art is cute, made me smile. wish your dog swift healing! this is such good news about jack! he looks rather content in the big house! 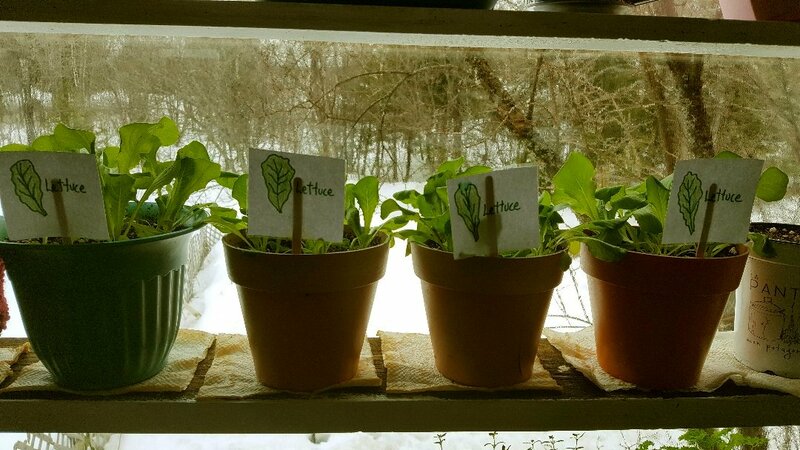 i just ordered seeds for mustard greens. i made some chicken yesterday and served it on a bed of fresh mustard greens and the hot chicken wilted them and they were delicious. i have to grow some! it is snowing here right now. The painting really looks like water. 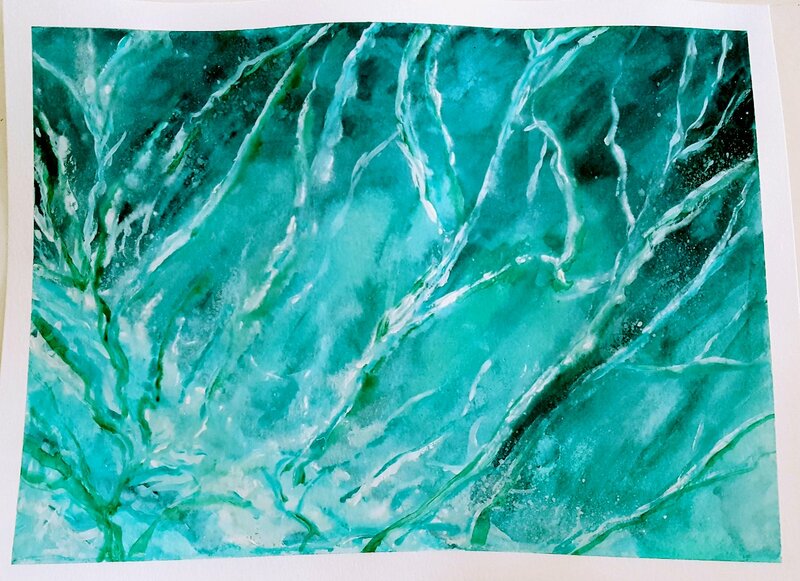 The water watercolor is so realistic looking....it could be a photograph! Love your other drawings too especially Bugs and Daffy...old friends! I haven't made rollups for years...I forgot about them. Yours look and sound good. The cheesecake.....it's been years since I've had any. I could make one but I best not! LOL! JAck's little "hut" is so cute...his own little hospital room! The video of Jack was so cute and to hear your voice for the first time was really cool. You have a very soft and sweet voice....me...I'm deep and gravely! LOL! Glad you are getting some sleep....all of you! I wll continue to pray that Jack gets better and has no pain. 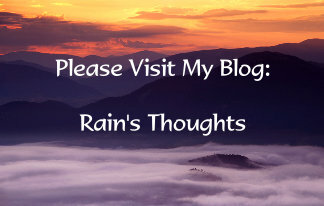 Rain, I look forward each week to see your blog, and share your life as you so generously share with us. Your blue watercolor is lovely. And I always get such a kick from your sense of humor with your cartoons. And Jack, dear Jack...so glad he's better and what a nice big house. You food is always a delight...and I can't imagine dealing with snow. Your are truly a talented super lady. Love your 'watery' take on the watercan theme, so original. Enjoyed your other pieces too. So glad Jack is doing much better. Your Easter dishes look amazing. We might say 'light tasting' for that cheesecake I think...cheesecake can be deceiving. I’m glad Jack is feeling better. Yay! beautiful painting Rain, I just read the previous post and then this one,, I am shocked and so sad that you have had to go through this ordeal not to mention Poor Jack!!! Its a good thing that you are conscientious and didn't just take the vets word for their opinion,, my gosh,, so unsettling information about the medications,, good grief. I'm so glad he is showing signs of recovering, you and Alex will need to recover now lol!! Delicious food as always,, you are such a great cook! Good golly, your interpretation of "watering cans" is awesome. How did you do that?? I really envy your sense of imagination and the direction you go in each week with the suggested topic. More snow? It's got to stop soon, right? Right?! Jack looks content in his little abode. And that is so dear that Marlene sleeps as close to him as she can get. Jack "eating his ears" . . . don't you wonder what he's thinking when he does that? Your indoor lettuce looks soooo good! I've seen many try to grow it indoors and yours is the best! Your 'watering can' painting deserves to be framed. I keep going back and looking at it. Have you noticed how some art will reach out and meld with your eye? I find it fascinating that we each seem to appreciate different pieces that way; and I pity those who never feel that connection. Thank you for directing me here! You and I are going to be the best of friends! Your Easter looked and sounded wonderful! I’m looking forward to getting to know you! 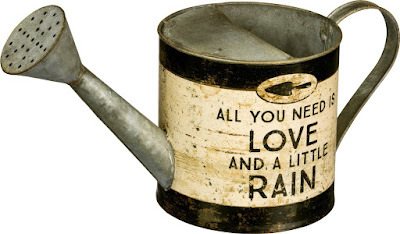 Well, I give you lot's of kudos for actually using a watering can to paint with. Clever girl! And it looks great as does your mouth-watering food. 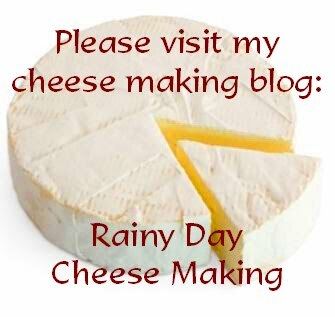 I should not visit your blog when hungry! FOOD....yum. It always looks so nice! As for Jack, so happy he is doing so much better! WOW...on the snow. Poor Jack, hope he was not having to hold it while you had to shovel! haha..love the watering cans. Was going to get on that one but I just have way to much going on right now so there again, I missed the theme. Hi Rain! I'm so happy to hear that Jack is doing so well. I LOVED hearing your voice, too :) Marlene is adorable. Looks like Jack has his own personal nurse and bodyguard 😜 That is really sweet. Those roll-ups look delicious! I'll have to make something simple like that. Can you freeze them? That would be a great way to have a quick meal for another side with a side or two. Sooooo glad Jack is getting better. LOVE that splashing water painting! LOVE!!!!!!!!!!!!!!! Snow... -sigh- And I am complaining because it was cold enough to freeze, last night. :-( Me, stop complaining. Your water photo looks like ice to me, it's such a pretty colour! Glad Jack is on the mend!! every time i see photos of your food it looks so good. Love all your fur kids. Your sketches are cute - forgot to comment above. Aw, lil' Jack! and how good to read that the other nasty vet is gone! Yay! Your Easter prep looks perfect. I am sooo into simple too. your first image is so you too--always thinking outside the box...or can in this case with the water spilling out through cracks etc. Clever and pretty too. Wonderful. finally, I always love your Loony Tunes illos. This being another fine example. I so had to chuckle at Daff's comment and am now trying to picture you with that silly flower hat on. Too too funny. Wonderful thinking on these theme for our picnic this week, Rain. I never thought jsut how perfect your name is for the theme, or that other pic too. Perfect. I am SO happy you take the time to join our picnic and be a part of this community. Loving your uniqueness. Thank you so much. I love your watercolour using water spraying from the watering can. Perfect result! Poor Jack...I went back a post to read more on what happened regarding the vet. I totally agree that we are with our pets 24/7 and we KNOW our pets behaviour and feelings. I would have been inconsolable if my dog had been in that much pain so I can imagined how stressful it would have been for you. I'm so glad you listened to your own gut instincts re. the medication. Good for you! I'm glad to hear Jack is doing better, bless his heart. Wishing him a full recovery. Unfortunately the video of Jack won't play for me. :( It says 'Invalid Parameters'. I wonder if it's a 'country zone' thing? Wait...I refreshed the page and it worked. Too cute and what a sweet voice you have! Well, Rain, your art is fun and funny and cute as always, but it is your Jack story that stole my heart. So glad that he is improving and OMG, how do you keep him in his crate? My Izzi would be chewing the the bars and howling in frustration. The medication issue is scary. Izzi has had reactions to antibiotics and worming medication, but never to Tramadol. She was on it when she had her ACL surgery and it seemed to help her, but clearly Jack cannot tolerate it. I am glad you knew to take him off both medications ... you are a good MOM. I like the Big House! It's cozy and fun. I'm glad that stupid vet isn't working at the clinic anymore. I am growing a little succulent on my kitchen window sill. It's doing well. I had bought this little rosemary plant from Joann where you leave the seeds on top of the mineral mixed soil. Nothing's growing; I think when I had watered it for the first time, the seeds got washed away. I peeled off a leaf of the succulent and me and the teenager will see if it'll grow instead in that little pot that she keeps on her window sill. I started laughing so hard about Jack eating his ear! LOL! So happy he is doing better! Big Hugs! 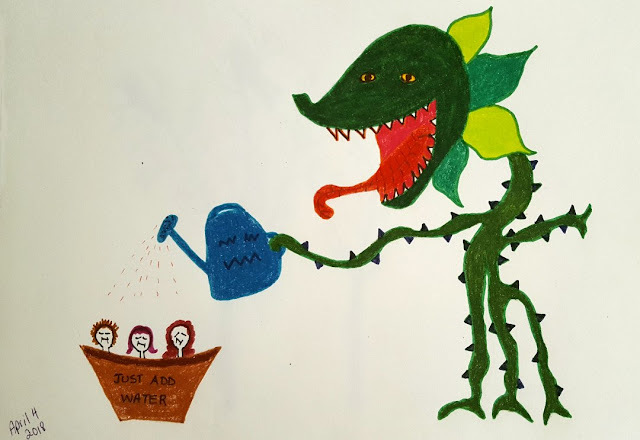 Sorry dear Rain, I'm so late to the picnic of last week - but I'm loving reading this post and seeing your watering can art. That Jack is adorable - so happy he's coming along now - and hopefully the snow is going away!!!!!!! P.S. Fresh lettuce -how amazing! find an agreeable chiropractor and take jack. ours treats his own dog and treated our cats, too. chiropractor should have jack p and at it tout suite. Thanks Dianna :) Snow is very wrong in April, and it's not over yet, at least here sadly. I'm so happy I have my window garden, it's keeping me from getting too SAD. I hope you can find a way to have a nice garden without feeding the deer! Thanks again, that "sad tail" disorder sounds very familiar. Hi Joyce :) I'm so relieved about Jack, I hate imprisoning him like that, but soon...18 days until release date lol! Oh mustard greens! I have some seeds actually. I tried them for the winter garden and nothing grew, but I'm going to plant some this summer for sure! Hi Mama Pea :) Thank you! :) I actually took a little watering can that I had and filled it with some coloured water then splashed it on the paper to see what it would look like. Then I just filled it all in with watercolours...very slowly! It was fun to do :) Don't ask me about the snow...Mother Nature is ignoring my requests for spring! :) I always call Jack and Marlene the "twins" because they are joined at the hip. She really does watch out for him though. If any of the other dogs get to close, she walks right in between them, it's funny to see her being so "motherly"! Hi Pam :) LOL...poor Jack had to hold it in while I shoveled! But he's a smarty...he doesn't like to get cold so he'll pretend he doesn't have to go anyway! :) I hope you get back to the picnic, it's fun to see what others come up with! Thanks Alex :) Boo is right...I'm sick of winter! Hi Martha :) I just realized after reading the comments here that it's true, nobody's heard my voice! I'm not a big video person, but I had to showcase my little Jack eating his ears...when he does that he's very happy and excited. Usually he starts when the other dogs start barking and playing. Yeah, the vet...hmmmm is right. What the heck is up with that??? Anyway, I found out where she went and we will avoid that clinic that's for sure. Marlene is definitely Jack's bodyguard! I mentioned above that she will actually walk in between Jack and any other dog that gets too close! I don't know about freezing the roll ups because each one has a little layer of cream cheese...not sure that freezes well. My grandma used to make these types of sandwiches with bread and she would freeze them and they were great when they were defrosted, I think you'd have to just take a chance and see! Hi Wisps of Words :) Yes! Marlene is definitely Jack's protector! It's very endearing :) Ha ha..."home grown lettuce envy"!! I had that for too long and finally took the chance...now I wish I'd started to plant some lettuce sooner! They don't grow as big indoors though, so I guess they are considered "greens" or "baby lettuce". I've got a big pot though, I'm going to see if I can grow an actually head of lettuce by the window. Hi Susan :) Ooooh! Thank you! Love and Rain do go well together!!! :))) I'm glad you noticed my little pun :) It really got to me, about that vet...you know, we go there in distress, our dog is helpless, we're helpless..and she pulls arrogance, talk about kicking a person when they're down. Karma will take care of her I'm hoping. Hi Michael :) Nasty vet gone! Who knows why but I don't care...now I think I can try to continue going to that clinic. They have a new vet so maybe we'll see how she is next time we have a routine visit. Hi Serena :) Glad you like the art, and I'm glad you're back! :) Thanks for your comment about Jack. Inconsolable is a good word that describes how I was feeling. I know deep down it wasn't my fault but I still have guilt that I didn't listen to my gut sooner. Poor little guy...he's doing so well now though! Hi Andrea :) It's been a challenge to keep Jack in the crate. If I zip up the front of it, he whines. Poor thing doesn't understand why he can't come out! That's why we put the other little bed in front. He goes in and out. But once in a while he sneaks out and I have to "scold" him back to his cage. As long as one of us is with him, he's fine. But if we aren't right there, Marlene takes over lol! :) We're just lucky he likes to be cozy! I'm so glad your Izzi didn't have a bad reaction to the Tramadol. It's weird because Jack has an iron stomach otherwise, but I saw how frail he was and it broke my heart. I'm glad all the worst is over for him and for us! Our cats love to chew on the plants too, I have most of the pots high up on shelves in the window where they can't get at them so I've had luck that way! I think otherwise, I'd have no lettuce or herbs lol! Hi Stefanie :) Yeah...I'm actually relieved that the vet is gone. It's so odd to me that a person would make animals their career but show such lack of empathy and arrogance. Good riddance! I'm glad you're growing your succulent! I hope the little leaf will grow for your teenager, it's fun to watch them! I don't know about rosemary, I had bad luck trying to grow it. When I plant herbs though, I spray them a lot with a spray bottle, talk about sore hands!, instead of watering them at first, just so that they don't overflow with water and upset the seeds. As soon as I see a little growth, I gently water around them, let the soil dry up a day or two then water them again. That's how I progress and so far it's worked pretty well. You could always toss a few more rosemary seeds into the current soil and see if that works! Thanks Magic Love Crow :) When we got him from the shelter he had that habit. At first though he bit them too hard and cause little sores. We will tell him to "drop" his ear if we see him doing it too much, but otherwise, it's just a habit for him! What beautiful water you've painted! Sure could use some of that rain we all need... even a little would be nice. I know, I know–it will arrive in due time. At least in the meantime we have love aplenty!